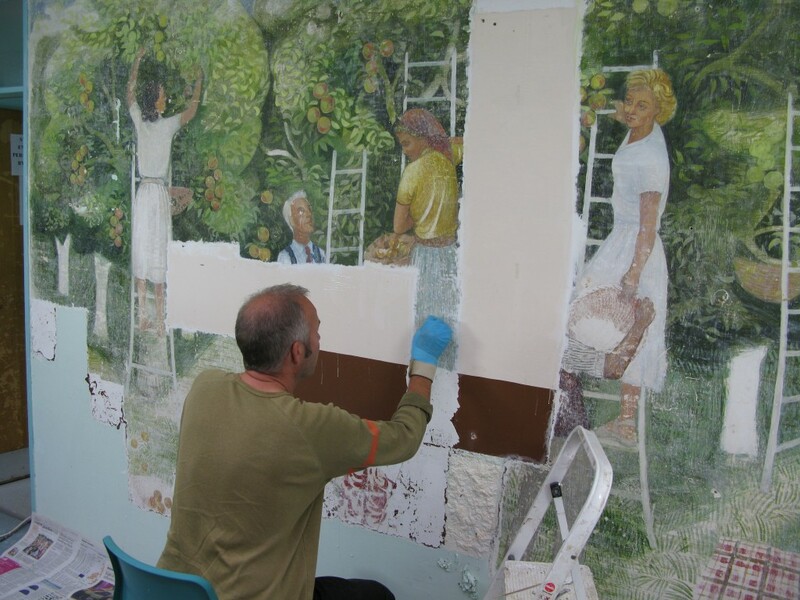 Two murals hidden beneath layers of paint for decades were brought back to life by a team of art restorers as part of St. Crispin’s and Wokingham town’s heritage. 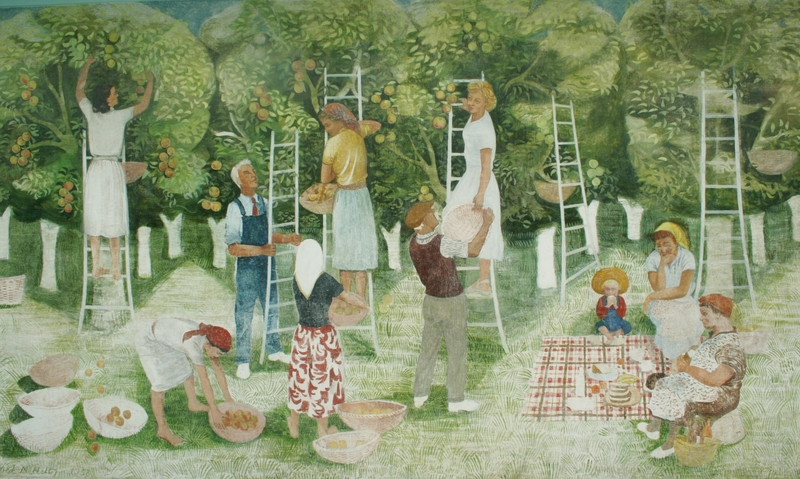 The two paintings are part of a trio of murals depicting the seasons which were first created in the 1950s at the time St. Crispin’s was built. However, they were painted over in the 1960s & 70s and over the years subsequent layers of paint were added. 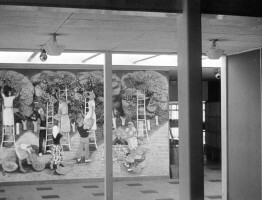 The Summer mural was the first to be revealed and restored by Perry Lithgow Partnership during the summer vacation in 2011. 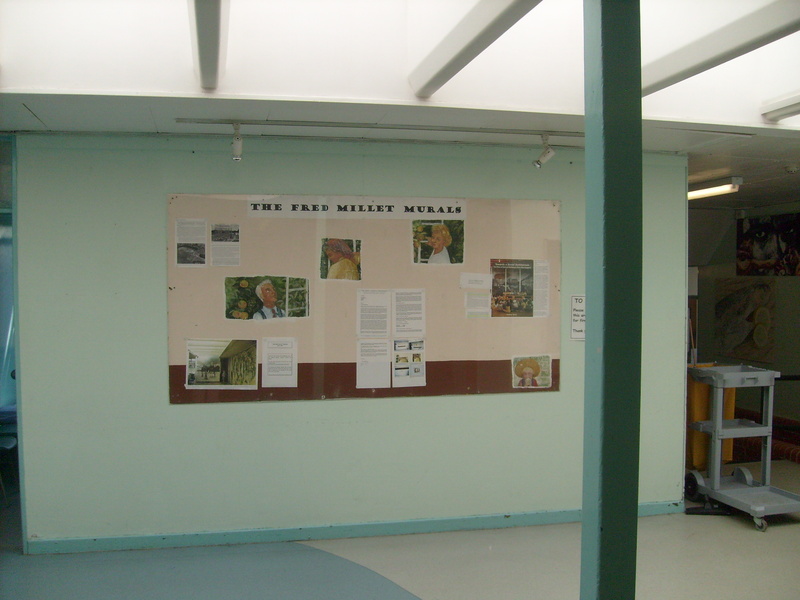 The Autumn mural was then restored the following summer in 2012. The third mural, Winter, was re-created in the Summer of 2013 by Saskia Huning as part of the 60th Anniversary celebrations. Only recently has the significance of these unique paintings and the artist who created them been established. 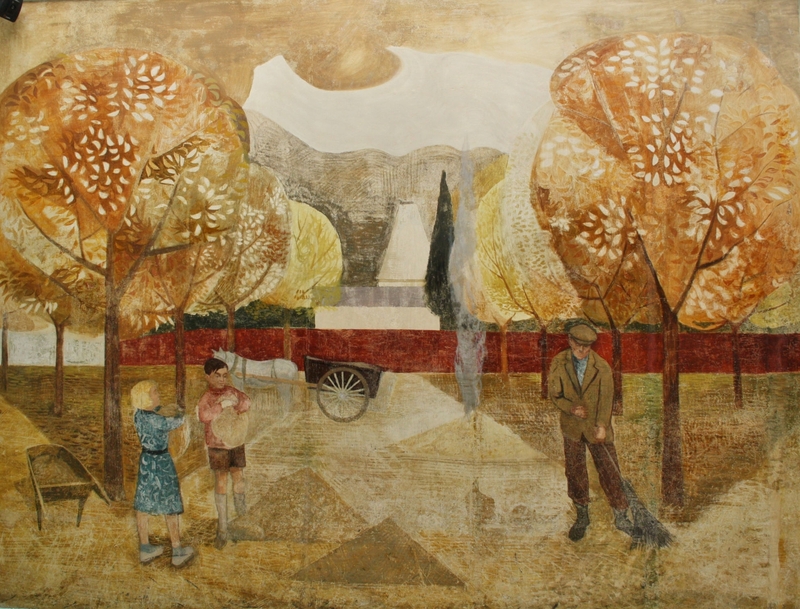 Fred Millett (1920-1980) produced work for many public spaces, including the Festival of Britain, and his work is still in the Government Art Collection. 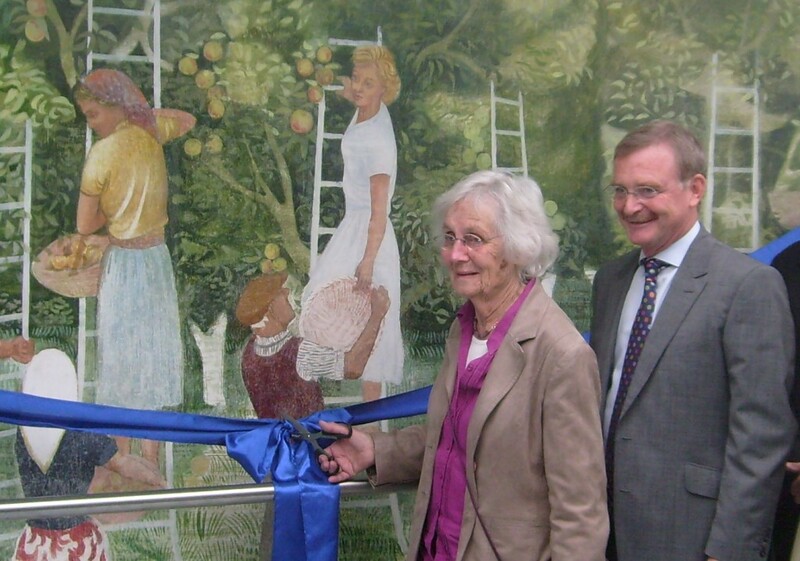 As part of Wokingham’s heritage, the murals are available for public viewing by appointment with the school reception. The restoration of the two paintings was made possible by generous donations from the Wokingham Town Council and the Wokingham Society, as well as a substantial donation from a former student. Building work on St. Crispin’s began in 1951 and the school opened in 1953. The building design of the school encapsulated much of the ethos of the Festival of Britain in 1951, which sought to reinvigorate the people of Britain with a sense of recovery and optimism, following the trials of the Second World War. Many public spaces were illustrated with colourful figurative paintings which often related to the establishment in which they were situated. Fred Millett’s murals depicted scenes which related to St Crispin’s as it was in 1953 – a rural Wokingham school where students were taught agricultural skills. St. Crispin’s has come a long way since 1953; from the country school where, until the 1960s, public exams were not on the curriculum, to the specialist Maths, Computing and Leadership school it is today. In 2010 it was judged by Ofsted to be “Outstanding” and a new £5.5M science block was built in 2012 and completed in 2013. 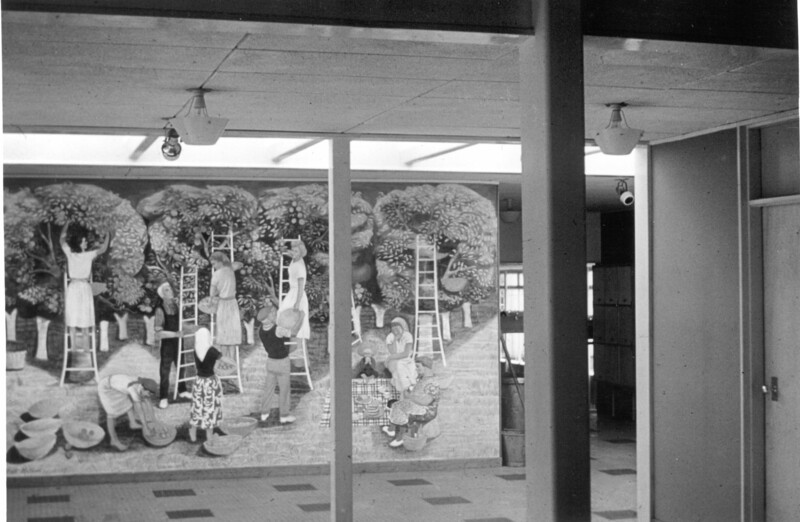 In recognition of this journey, and as a tribute to its past, the St. Crispin’s murals are once again on display to enrich students’ school lives, as they first did for students in 1953.